Guide My Work - The Easiest MES Experience You'll Ever Have! You are here: Home / Nysus Solutions Blog/ Guide My Work - The Easiest MES Experience You'll Ever Have! Nysus Solutions understands the roadblocks that come up when organizations look to make the switch from paper and manual processes to automation and technology. Many times, the cost, lead time and/or complexity to adding these beneficial tools to a manufacturing operation prevent companies from taking this step. That's why the team at Nysus developed Guide My Work. Check out some of the many features that show you just how easy it really is - every step of the way! Getting software started up can take time - especially when you're starting from scratch! That's why we've made the setup process easy. The administrative tools within Guide My Work don't require an engineering degree to setup and maintain system components, create and read reports or manage users and settings. Do you have 20 minutes to spare? What if we told you that getting a Guide My Work station going would take only 20 minutes? Maintain admin and billing settings. Clear & Concise Reporting: No need for digging through data and making sense of scribbled handwriting. 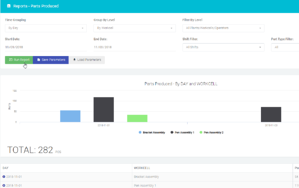 GMW features real-time feedback and historical reporting of production, defects, cycle times and part details. With filtering and data export options at the touch of a button, your job just got a whole lot easier. See this fancy purple button right here? That's all it takes to download a GMW station to a device. THAT'S IT! Guide My Work can be loaded on to any web-enabled device - such as a PC or tablet. No servers or expensive infrastructure needed. You may be thinking - but you created it! Of course you think it's easy. So we put it to the true test and had our sales people take a crack it (insert ominous music here). And guess what? Even they were able to set up a station in no time at all. But to make sure that our customers feel comfortable getting their own Guide My Work system up and running, we've created a library of training guides and resources to walk you through and explain each step of the setup and use. Step-by-Step Videos on our website and YouTube that break down the key setup functions and show exactly where to go and what to do. Still not sure it's really that easy to do? Then we'll go one step further. 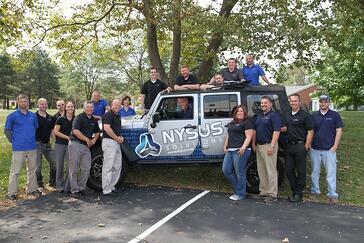 The Nysus Sales Team would be happy to come to your location within the NW Ohio, SE Michigan, Dayton/Cincinnati or NW Indiana/Chicago areas and walk you through setting up your base steps and get a station up and running. 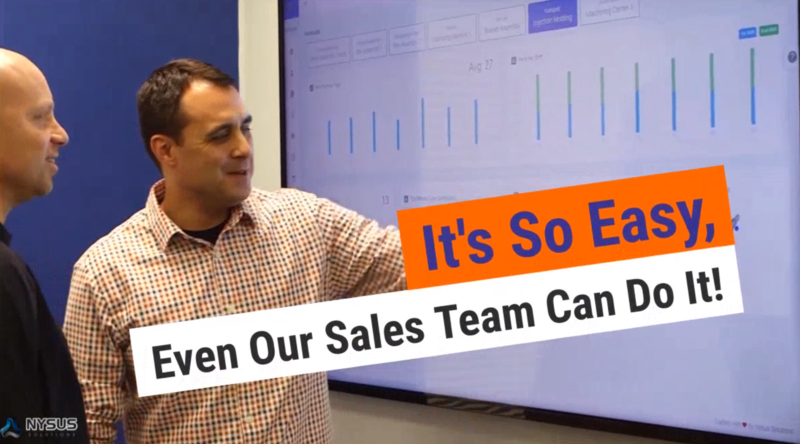 (I told you - if our sales people can do it, then so can you!) *Restrictions apply. Contact us for more information. Not in the area? No problem! We can also accommodate WebEx meetings or provide support via phone or email. So what are you waiting for? Guide My Work can truly provide everything you'd expect with a full-blown manufacturing execution system without the challenges you may have faced in the past. And for only $3 a day per station, there is minimal investment. Even better - your first 15 days are free! Visit www.GuideMyWork or www.Nysus.com/GuideMyWork for more information or contact us at sales@nysus.com to see how this revolutionary software can change your manufacturing processes for the better.